CONSTANTIN SANDU, the Porto based Romanian pianist, will soon be returning to play for the Amigos giving two very exciting and varied concerts during March. On Wednesday March 9, 2016 Constantin will play Mozart’s Fantasia and Rondo “Alla Turca”, Beethoven’s Pathetique Sonata, 3 waltzes by Chopin and Beethoven’s Moonlight Sonata. On Thursday March 10 Constantin will play three preludes by Gershwin, studies and preludes by Rachmaninov and Beethoven’s Appassionata Sonata. CONSTANTIN SANDU was born in Bucharest on New Year’s day 1964 and has been resident in Portugal since 1991. He started having piano lessons when he was 7 and made his first appearance with an orchestra when he was 14. In 1982 Constantin entered the national music academy of Bucharest where he studied under the guidance of Constantin Ionescu-Vovu, the well-known professor and pianist. He concluded his academic studies in 1986, having graduated with the First Prize. 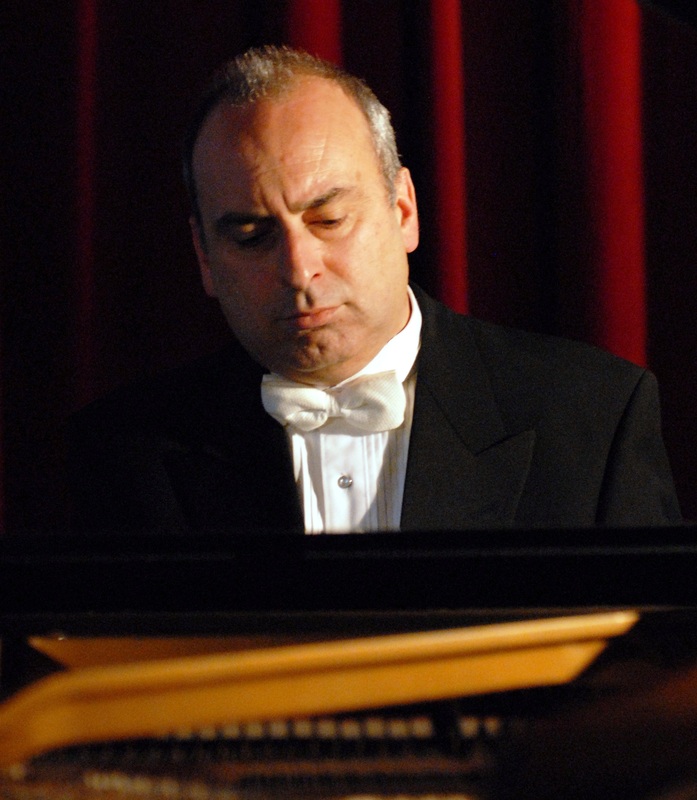 In 2006 Constantin Sandu received a Ph.D. in music at Bucharest’s National Music University and his thesis was on “Portuguese Piano Music”. Constantin has since developed an intensive international and acclaimed concert career spanning 3 decades. He has played in several festivals in France, Romania and Spain and has won several prizes. During the events that marked Porto 2001 European City of Culture, he played Rachmaninov’s Concerto No. 2 with the Porto National Orchestra as part of the major interpretation of this composer’s concertos with Artur Pizarro, Vladimir Viardo and Sequeira Costa. Constantin has recorded several CDs some as a soloist. He teaches piano at the Escola Superior de Música e das Artes do Espectaculo in Porto where he has given several masterclasses. One of his masterclass pupils was Ana Beatriz Ferreira who is the Amigos’ current sponsoree and who is in the fifth and final year at the Royal College of Music in London. Constantin is considered to be one of the best pianists who has ever lived in Portugal. For more information about Constantin go to his website www.constantinsandu.com (which has links to live recordings). www.amigos-de-musica.org For concert bookings please send an e-mail to reservasconcertos@gmail.com or call Cristina at 914797980. Amigos’ de Música concerts at Os Agostos begin at 7.00pm sharp. Doors open at 6.00pm and wine, fruit juices and canapés will be served. Entry donation is €25 per person for guests and non-members. The AMIGOS DE MÚSICA is an international group of around 95 members who stage musical activities by internationally renowned musicians and also sponsor young Portuguese musicians. It is a non-profit organization and celebrated its twenty-fifth anniversary last year. This entry was posted on Thursday, February 25th, 2016 at 10:03 pm	and is filed under Press Releases. You can follow any responses to this entry through the RSS 2.0 feed. Both comments and pings are currently closed.